Product prices and availability are accurate as of 2019-04-11 16:51:32 EDT and are subject to change. Any price and availability information displayed on http://www.amazon.com/ at the time of purchase will apply to the purchase of this product. 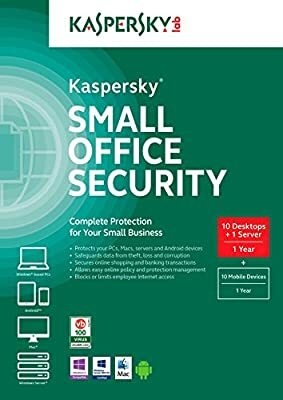 Essential PC Protection: Kaspersky Anti-Virus is the backbone of your PC’s antivirus security system, working behind the scenes to deliver the fastest and most trusted computer virus and spyware protection in the world.